It’s always exciting time of year when festivals release their lineups and we get to see what our favorite events have been cooking up. Unsurprisingly, Lucidity has concocted yet another lineup that totally exceeded expectations! They’ve gathered such an eclectic blend of artists for the Lucid Stage, it’s sure to please any fan of bass oriented dance music. Now, adding to the excitement, the booking team has compiled playlists for each stage so you can build the hype and get a taste of all the diverse sounds. Kicking things off strong is “Beats V2 mix” from Craze. This hard hitting mix blends hip-hop and wonky booming bass. It’s funky, weird and sure to please fans of the heavier side of things. Craze is well known for his turntablism skills which are on full display throughout. On a completely different end of the spectrum, Desert Dwellers’ psychedelic yoga dub will travel you to meditative dimensions. Chanting, flutes, and more organic sounds are interlaced with electronic beats and juicy bass lines. In yet another change of pace, SpectraSoul’s Essential Mix is full of clean Drum and Bass beats, emotive vocals and a good dose of groove. If you’ve ever been curious about the genre this is a wonderful dive-in point. One of my favorite parts of listening through stage playlists is being introduced to artists I haven’t heard yet. While I’ve seen the name dela moontribe on countless lineups over the years, I’ve never connected sounds to the name. Her mix is one of my personal favorites in the playlist, combining hypnotic dub and deep dance tracks, with a splash of world beats. 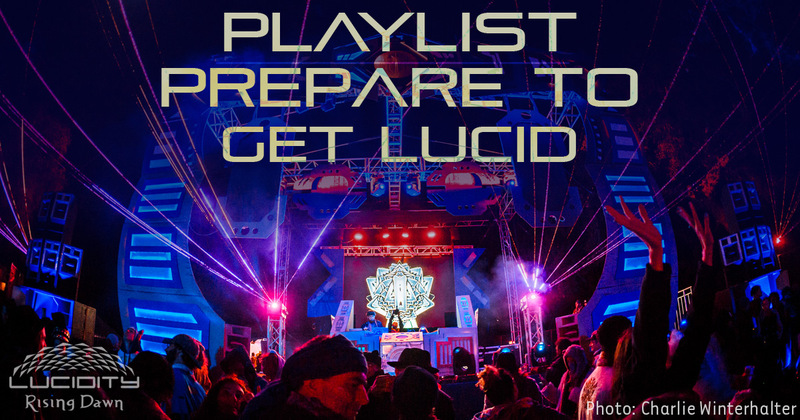 The playlist goes on for over 15 hours, showcasing the massive variety the Lucid Stage will be offering. There are too many good artists to mention here, so give them all a listen, get down to your favorites, and discover someone new!